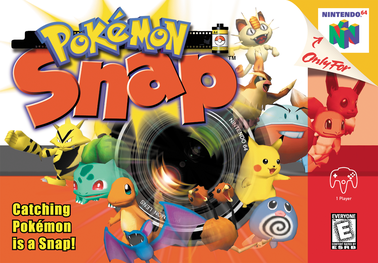 While Pokemon spin-offs are very hit or miss, few titles have garnered a cult following like the simple and unique Pokemon Snap for the Nintendo 64. Fans continue to beg for a new Snap game and with the advances in graphics and control (Actual cameras, Augmented Reality, Gyroscopic Aiming), I am honestly shocked that we haven't seen a follow up to this underrated game. Once again, fans have taken upon themselves to keep the game alive in our hearts. The YouTube group known as Gritty Reboots takes classic games and creates movie style trailers based around those titles with very entertaining results. Their latest video titled Pokemon Snap: The Movie (Trailer) takes Pokemon Snap and crosses it with Jurassic Park making a compelling argument for a full fan film. If you have fond memories of this classic Pokemon game, this is a must watch. Enjoy and be sure to follow Treon's Realm on Twitter!